Sterling strength Euro weakness – Why is it happening? How long will it last? Good afternoon and sorry for the lack of posts lately….. with the GBP – EUR rates breaching the 1.20 mark and staying over and above it the other traders and I have been rushed off our feet with those looking to lock into rates and make that dream purchase abroad a little cheaper. So, why has the Pound gained so much? Against the Euro it has been more a case of Euro weakness than Sterling strength as the Greek problem still hangs around like a grey cloud and Spain appear to be following suit with rapid pace along with numerous other economies. This in turn creates one huge problem….. With only one set of fiscal policies just where do the European Central Bank turn next? Obviously this has led to low confidence in the Euro Zone and whispers of the Euro not even existing going forward. My personal opinion is that the Pound may well creep up a little more in the coming weeks as more and more cracks appear in Europe and the Pound just subtly continues creeping up. Against the Australian Dollar the great recovery appears mainly down to the fear of a hung Parliament over there – remember what tht did to the Pound??? The election is not for months so should this become even more of a possibility then expect the Pound to make further gains against the AUD. Sterling has seen large gains against the SEK,DKK,ZAR and numerous other currencies whilst staying reasonably flat against the Dollar and making slight losses against the CAD. If you are buying a property abroad, have business transactions to carry out or need to get money overseas for any other reason and want the best exchange rates, just fill in the form on the right hand side and one of the experienced traders that write on this blog will be in touch shortly. The pound has spiked against the Euro, USD and a number of other currencies this afternoon. Sterling has been relatively range bound today, that is to say that interbank levels have fluctuated between 1.1650 and 1.1700 for most of the day. In last hour or so the pound has gained an extra 60 pips and interbank levels are pushing into the high 1.17’s. If you need to buy Euros and would like to find out more about how to save money on your transfer, fill in the form on the right of the page. The Pound has had a mixed day!!! George Osborne today outlined 6.25 billion pounds worth of public sector spending cuts, in line with expectations and the bulk of which would be used to trim the budget deficit this year. With The UK’s deficit running at around 11% of GDP it is vital that the government implement a strategy to reduce the deficit asap. Tomorrow the UK has revised GDP figures out for the 1st quarter of the year. This is potentially a big mover for sterling exchange rates. If the figures show that the UK’s economy did not grow by as much as last predicted we could see the pound weaken against most majors. Trading has been extremely volatile for sterling exchange rates since the UK election and continued yesterday after Germany’s ban on naked short selling of some securities the previous day had triggered risk aversion, sparking wild moves in the currency market. A sell off in commodities related currencies, including the Australian and New Zealand dollar, which are perceived to be higher risk, dragged sterling lower against the USD and YEN which are deemed a safe haven for investors. The one thing that markets and investors dislike the most is uncertainty. With problems in all the markets (American, European and Asian) all closing down quite significantly yesterday I feel that the pound could be the loser come the end of the day. Today however the Aussie, Kiwi and Rand have reversed their losses and the pound is down by 1% against AUD, 1.36% against the NZD and 0.68% against the ZAR. The pound has welcomed a gain against the Australian Dollar which has literally fallen out of bed today with losses against the pound of up to 3.29% The Aussie Dollar has also weakened to its worst level against the USD for around 8 months now. Contributing factors for the gains that sterling is seeing is that the minutes from the latest RBA interest rate decision showed that they would probably halt interest rate rises for the foreseeable future. Plus it seems that the consumer confidence in Australia fell by 7% in may when the previous month it fell by just 1%. It goes to show how an economic data can make a currency so volatile. The expectation was for a decline of similar to last month so as the figures came out so much worse the pound has really gained. It is a welcome gain for most clients as rates have been so dire recently we are finally back above the 1.70 resistance level. Sterling has continued to fall over the weekend against a basket of major currencies inclusive of the U.S Dollar, Australian Dollar, Canadian Dollar, Japanese Yen and many more. The Pound has lost a lot of value on a trade weighted basis over the past week however has pretty much stayed solid against the Euro due to the many underlying problems throughout the group of economies. Obviously the PIIGS of Europe especially Greece are still holding back any positive movement for the Euro against all major currencies and it appears that the Pound and Euro are locked into a battle as to who can weaken the most. The Bank Of England minutes this week are key for Sterling and are due out on Wednesday morning, those with upcoming transactions to make must keep in close contact with a professional and dedicated broker who can ensure you have the tools in place to make sure you don’t get hit hard whatever the result. There are a variety of other releases due out this week for the U.K and overseas which will all have an effect on the cost of your currency, today however is rather quiet. Anyone with currency requirements over the past few weeks will no doubt have been keeping a very close eye on the markets, (and hopefully pound sterling forecast!) The pound has seen swings of 3% and more as the election, Greek crisis and stock market volatility have all played their part in causing considerable market volatility. Now that we have a coalition government in place the questions turn from who will be in Government?….. to how will they govern? 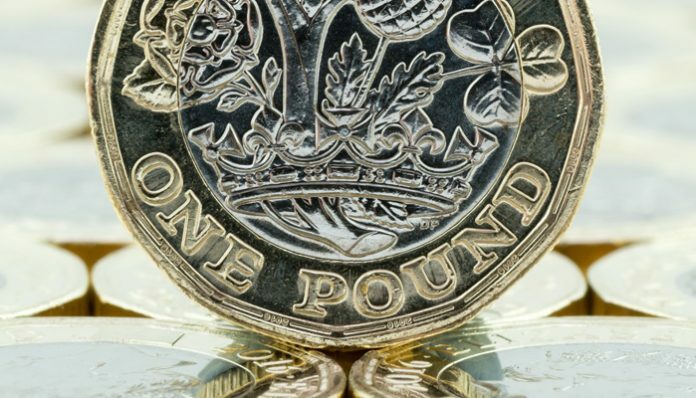 The basic premise of a Conservative majority in coalition with the Lib Dems has pleased the markets and the pound has spiked in value over the course of this morning. Looking ahead the ‘how’ is now key to the UK and to the GBP. Any uncertainty about the strength or legitimacy of the coalition could cause sterling weakness, we have in fact seen a little weakness this afternoon. With key issues such as the budget deficit, and national debt to address there are plenty of challenges ahead. For the pound a lot will depend on exactly how our new coalition government deal with these issues. Clear, credible policy will be essential if the pound is to avoid taking losses. The final point I would like to make is that anyone now hoping to see the pound to push on through the 1.20’s and toward the 1.30’s, may want to consider the fact that the Government, and Bank of England are likely to be keen on keeping the pound weak. This will help attractinvesment from overseas and assit the economy through making exports cheaper. The good news is that we are currently trading just below a 10 month high against the Euro, and the pound is up against the USD and CHF from last week. My forecast is for sterling strength today. If you are looking to buy foreign currency I think today could be a good day to secure a rate. If on the other hand you are selling currency, you may want to have a good think about your budget as if we do get a strong coalition in the UK you could see some further GBP Strength. It is worth noting that if we do see any negative fallout from the talks between the major parties, then you could see some sterling weakness. If none of the parties can come to an agreement the uncertainty that would cause would probably lead to the pound losing value. At present we are seeing GBP strength because it looks like an agreement will be reached. If you would lik any further info, or if you want to offer your opinion, please email me ajm@currencies.co.uk . As of 10:07 am BST sterling exchange rates have been strengthening against the Euro by 0.83%, ZAR 1.14% AUD 0.55%. The gains have not been against all currencies with losses currently against the USD and YEN at present. The uncertainty regarding the UK government could start to weigh on the pound if we do not have a decision in the very near future about who will be running government. While the rates of exchange for sterling has strengthened quite considerably against a host of currencies of late, it may be wise to look at securing a rate of exchange to take away the risk factor if you have an up and coming transfer to be done. Please feel to contact myself here at bma@currencies.co.uk if you have any questions or queries regarding sending money overseas. The Pound is really volaitle tonight as speculators try to guess just which way the election will go… it has been in the 1.16s against the Euro and has now hit the 1.18s at 2am this morning….. keep your eyes peeled as in the next few hours will be huge for the Pound! !